ASF Logistics, of Mobile AL, has been instrumental in putting together a complete logistics solution for supplying essential materials in the construction of a velodrome in Aquadilla, Puerto Rico. 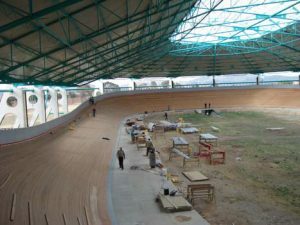 The $1.6 million facility is currently under construction, and will be used for cycling events in the 2010 Central American and Caribbean Games which take place in Puerto Rico this year. ASF Logistics is handling two separate shipments of laminated wood beams, plywood, and lumber which total 222,590lbs/103,233kgs. 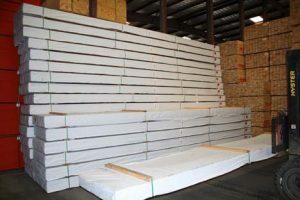 The specialized lumber, which has been supplied by McCausey Lumber based in Roseville, Michigan, will be used to construct the flooring for the velodrome track. McCausey Lumber, a family owned business spanning 5 generations, is moving the lumber overland to the Port of Mobile in Alabama where it will be loaded on a vessel sailing directly from Mobile to San Juan, Puerto Rico. Kristin Buxton, a spokesperson for ASF Logistics stated, “We are pleased to be able to showcase our abilities involving such a unique shipment which will no doubt further serve as a testament to the level of professional service which we provide to our clients”. A spokesperson for McCausey Lumber added that they were delighted to have been awarded the contract to supply specialist lumber for such a prestigious event.